It’s a Monday out there. Sure it’s Halloween. But it’s a MONDAY and… let’s face it…the sheer ughness of Monday trumps even Halloween I’m afraid. But then…what’s that? Is that a spot of brightness in the dreary Monday-ness of it all? Yes. Yes, I do believe it is. And who is the one person in the entire universe who could drive away the dreary that is Monday? Well, Dr. Who himself of course! 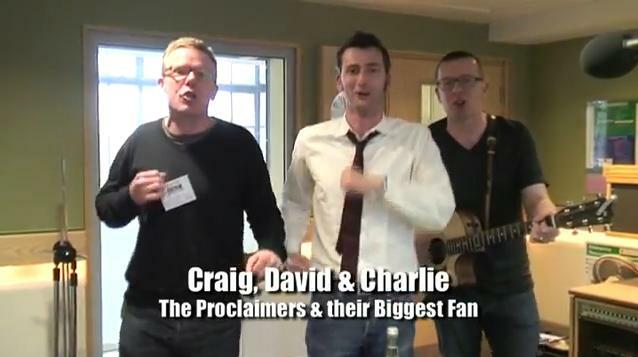 Behold the cast and crew of Dr. Who…starring David Tennant as the Doctor…performing “500 Miles” by The Proclaimers.